Forklift Licence in Bundaberg: Obtaining A Ticket Is Easy! Read This - Be Certified Today! 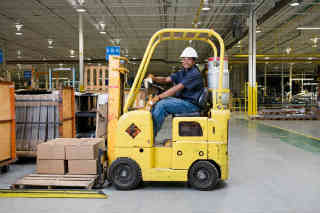 A forklift licence is your great advantage to land for a job or get promoted. In Bundaberg, employers seek those individuals with valid HRW licence prior to offering employment. The licence is nationally-recognised document that will give the edge to boost your career in this field. You need this in order to retain employment or for skill upgrade. Employers are seeking those workers with proper training and good education to perform jobs safely and securely. As they do not want get penalized by law due to accident involving uneducated forklift driver. When you are scheduled for a training course, attend the formal education and practical training. These commonly last for 2 to 3 days depending on the extensiveness of the training. When you finished the formal and informal classes. Inform the RTO about your desired schedule of assessment. You need to inform the RTO about it 6 days before because assessors are required to inform the Workplace Health and Safety Qld (WHSQ) at least 6 days before making an assessment. When you’re successful, trainee will receive AS1 form from the assessor and notice of attainment from RTO as proofs that you have completed the training and assessment. Within 60 days after the assessment, trainee must submit the requirements to the nearest Australia Post for processing of HRW photographic licence. F1 application form duly filled up and completed - Photocopied form will not be accepted. AS1 form – this is the document issued by the accredited assessor upon training completion. If you are in possession of other valid HRW licence – You need to submit it as well for verification. Other HRW licence that was issued by other territories. Your photo shall be taken at the Australia Post. This will be included in the photographic licence. Application fee – You can pay in cash, credit card, cheque or EFTPOS. The latest fee for HRW licence is $70 as of this writing. You can verify the fee when you submitted your requirements. You must keep the assessment summary (AS1) form and the receipt issued by Australia Post. These are your confirmation that you are legitimately can perform relevant high risk work. You can also inform your prospective or present employer that your official licence is being processed awaiting decision. You must be a resident of Queensland, if you are contracted by an employment conducting business in this territory, you must show proof of employment. You must know how to speak and write in English language. Candidate must prove of his proficiency to understand English in verbal and written formats. This is vital because trainer will deliver the training in English format and all trainees are expected to comprehend the lesson thoroughly. Know basic numerical skills. You must know how to make basic mathematical skills. This is due to that some learning topics involves calculations. Likewise, when performing actual job, material inventory management is required and basic numerical skill is needed. Secondary location is Bundaberg, trainees can enroll at its office. Some of these schools may not be actually located in Bundaberg, but they can give service in this location. Businesses in Bundaberg are seeking experienced and trained forklift operators to man their warehouses and fulfill the production requirements. General job requirements are as follows for your information and guidance. Getting trained and having a licence is not the end of it, your success will depend on attitude. Go and improve your good attitude toward better career. Take a step and then from there take more to achieve your goal. You can enquire to these governing QLD offices for matters like processing, employment and wage standard. We wish you good luck to achieve your better career.